We are nearly a decade into the emergence and proliferation of social media, witnessing brand marketers feeling challenged by the daunting task of talking to their consumers on digital platforms. Even now, a lot of brands are still in denial about it and consider conventional mediums of advertising as the main platform of communication. One of the reason’s that I can imagine is that everybody thinks that Social media is digital and that limited thinking causes a lot of misconceptions. That is why first it is very important to define the realm of digital advertising. This realm includes websites, mobile computing, social media, business analytics, big data, gaming, cloud, Internet of Things etc. and these technologies have been coming over since 2007 after launching of smartphones and are reaching consumers anywhere and everywhere. Another question that comes after this explanation is that “How Digital is changing Businesses?”. For that, the most logical explanation is that it makes customer and brands connected with each other even closer. Digital technology is applied to people, equipment, information etc., which creates opportunities for brands to connect with people that were considered impossible as per the conventional marketing standards. This brings not just a new way of communication but also introduces new logics, business priorities, communication priorities thus leading to overall communication objectives of a brand. This is the reason we say that “Digital is changing the businesses”. In the past era, consumers were always on the listening end. “Extra Extra! !” and brands used to communicate their messages to them. There was no one to listen to them and understand what they really want or even how they perceive the brand. Digital is giving consumers the platform to speak their heart out, let them talk about the brand and giving power to their hands, which is leading in the change of products and services based on what actually consumer wants. As much as this whole thing seems to be a tedious step but this is helping brands build not even bigger consumer base but also identifying the loyal and ensuring brand growth too. Thus, the result is coming back in form of a multi-trillion-dollar annual growth opportunity created as customers switch products and services. One major example is the addition of cameras in phones and then later becoming an integral component of smartphone purchase decision. It shows that how consumers a niche product became an integral part of their choice on such massive level. In 2003, all major digital media were covering headlines focusing on “hamburger hell” i.e. how fast food is a catalyst in Obesity and this was causing a lot of problems to all fast food chains, especially in our case, McDonald’s. Understanding this, McDonald’s realized that it is high time not just to introduce new products in the menu but also to discuss such topics with consumers directly. This was done via launching portals, being active on social media and also through branded content to address consumer issues and building conversation with them. Recently, McDonald’s Pakistan has launched a campaign regarding health and fitness by sponsoring a marathon which can be seen here. The overall campaigning by consumers clearly highlighting the impact of digital platforms on brands, as they did not just add new products in their portfolio but also started initiatives in their communication to ensure they are coming out as listeners. 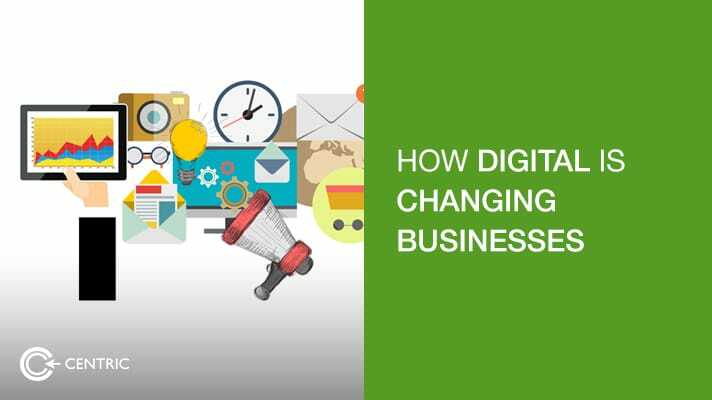 Considering the above-mentioned examples it is evident that business must change the way they think, they must act and learn to make sure they keep the pace with consumers in this digital world. The conventional mediums were always a linear relationship in which brands were talking to consumers but now digital is a two-way relationship and it is important to brand not just to communicate their message to the consumer but also to listen to them. Engagement, dialogues, and feedbacks are critical components of the relationship between brand and consumers other than brand loyalty and advocacy. Brands no longer own or control consumers anymore. It’s the other way around now. They must engage and let consumer build their own experiences to ensure brands are meeting their needs. From you smart TV to the computing devices or even picking up your own smart phone. Brands must be present everywhere where their consumer is seeking information. To sum up this analysis, I must leave you with five most important points you need to use are a benchmark in the digital world. 5. Make Brands Centered Around Experience.